Chevrolet really does it all, and they do it so well that it has become such a normal occurrence to see them blowing their rival’s ‘out of the water.’ Take this instance, for example, the RAM 2500 chooses to battle it out with Chevrolet’s 2018 2500 Silverado. In the world of pickups and ratings, the 2018 Silverado dominates the RAM in pretty much every category. The levels of technological and safety features that Chevrolet offers is ‘second to none,’ and the RAM has a hard time matching the upgrades. The 2018 Silverado is the perfect pickup, stocked by the perfect Chevrolet dealership, Mike Anderson Merrillville. You have the choices of either a 6 ft 6, or 8 ft bed length, each with their own benefits dependent on the preferences of the buyer. Bench configurations can see you housing, either two or three passengers. The Crew Cab trim has over 40 inches of legroom at the rear. 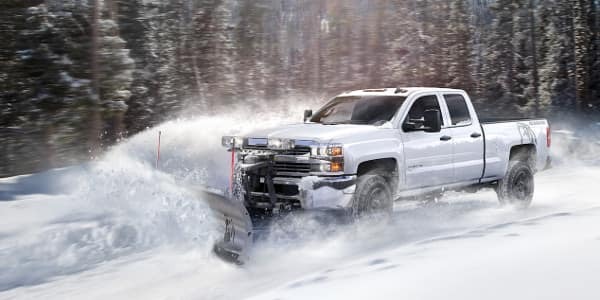 The Silverado is a conveniently spacious workhorse that can carry you and your team comfortably around job sites. A six-liter, V8 engine can be found under the bonnet of the HD models of the 2018 2500 Silverado. The V8 makes 360 horsepower and 380 lb per foot of torque. It is built to withstand pressure and does not crumble under the heat. The automatic six-speed transmission is dialed in on delivering power, which it does rather well. You have an option of a 6.6 liter, a turbo-powered V8 engine that gushes out an astonishing 910 pounds per ft of torque. This engine is also coupled with an automatic 6- speed transmission which is made by the powerhouse, Allison. The highest power output given by the 2018 RAM is a mere 800 lb-ft of torque, on their 6.7-liter turbodiesel configuration. Handling, driving performance and steering have all been factored into Chevrolet’s formula for creating one amazing truck. The payload is impressively rated at 3 534 pounds at the rear of the truck. The 2018 Silverado comes standard with a rear wheel configuration, though a 4WD is available as an option. The diesel-powered engine can tow over 18 000 pounds with its powerful engine and the right configuration, which sees that the driving performance is not negatively impacted. The durability of the drive is enhanced by Chevrolet’s decision to make use of a leaf spring setup at the back. The 2018 RAM has the ability, with its strongest engine to only tow loads of up to 17 000 pounds and this is also configuration dependent. In a very literal sense, you could work perfectly from the interior of the 2018 Silverado. The steering wheel comes equipped with the functionality to engage the cruise control, answer incoming calls and operate Chevrolet’s MyLink entertainment display. Wireless charging capabilities and USB ports also grace the interior of the Silverado, along with a power outlet of a 110-volt capacity. The cabin has been made quieter, thanks to sound materials which deaden external noise. Vinyl upholstery comes with the WT trims and also has some rather peculiar, yet welcomed antimicrobial properties. The RAM has kept things rather standard in the interior and also with the designing aspect. It lacks the wide range of functionality that the 2018 Silverado offers. Towing or hauling mode automatically adjusts the transmission for shift cycling reduction. Swaying trailer control detects unnecessary swaying of the trailer and brings it back into line by automatically applying the brakes of the truck and the trailer. Starting hill assist, keeps the brakes engaged until you reach the gas pedal. Digitally assisted steering electronically enhances the stability of the drive when you are on a highway setting. A rear vision camera, that assists you with guidance lines when you are backing up. So What else can the Silverado 2500 Offer? The 2018 Chevrolet 2500 Silverado HD has some pretty impressive safety ratings. It comes with advanced features that ensure you of a safer drive, as opposed to the 2500 RAM which lacks many of the safety features offered by Chevrolet. The 2018 Silverado has 6 available airbags, traction contro, and a stability enhancing system. It also comes equipped with an emergency notification to alert responders, by means of the OnStar telematics technology, if the Silverado has been involved in an accident. Advanced features on the LTZ and LT trims includes rear-seat ‘infant’ reminders and also forward warnings that will detect if a collision is imminent. We offer unbeatable customer service with an invincible range of Chevrolet vehicles at supreme prices. We take what we do very seriously. This is what we do, after all, offering you unmatched assistance, be it for buying a brand new car, needing to have your Chevrolet serviced or applying for vehicle finance. We all have many years of combined knowledge and hands-on experience to make your time with us an exceptionally pleasant one. Mike Anderson Merrillville is serious about you and the vehicles that we place on offer. 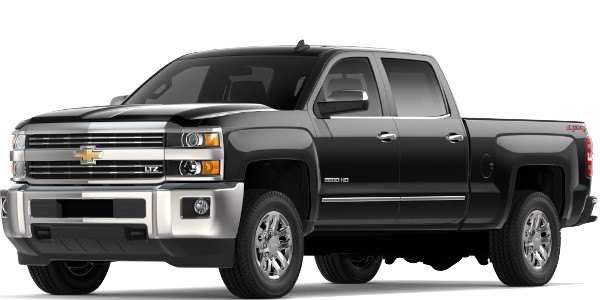 The 2018 Silverado 2500 is a strong example of the quality Chevrolet models that we offer you. Why don’t you book attest drive with us today and allow us to show you in person, what we are really about?